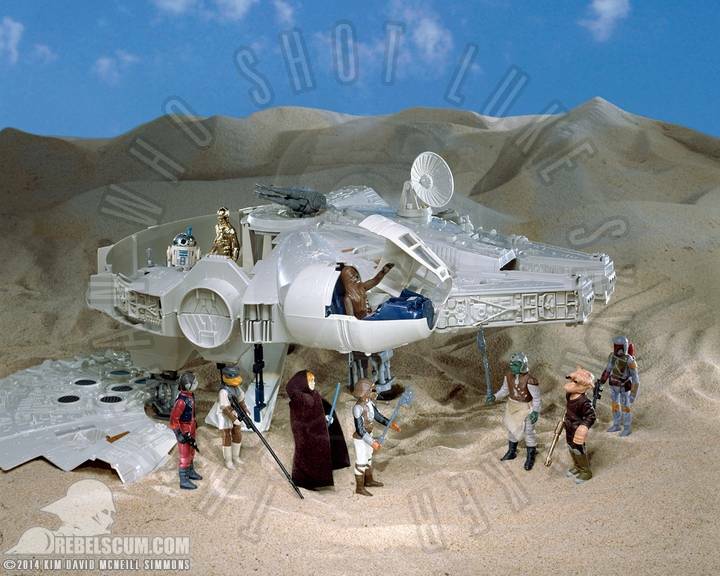 Kim David McNeill Simmons was the man responsible for photographing the Kenner (Palitoy in the UK) box cover art. He’s selling high resolution prints of his work at his web site and i think that it’s hugely nostalgic. There are a lot that bring back fond memories of my childhood, but only two that i am considering for my collection. The first is the Empire Strikes Back cover art. Of course i have something similar from my youth, but time has not been kind to the box, so it’ll be nice to hang this near my toys. The second print is the Return of the Jedi cover art. 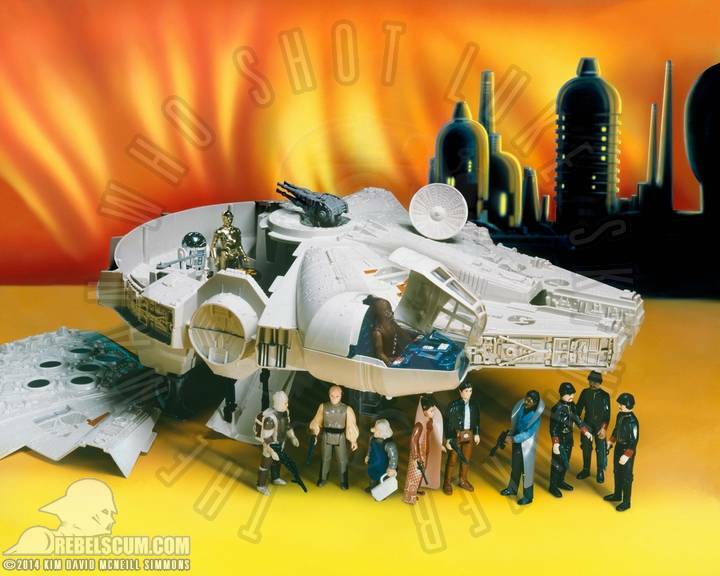 I mostly associate this art with the Lili Ledy Millennium Falcon, but good examples of those toys are prohibitively expensive and i don’t have one in my modest collection. This will be the closest thing. I’m having a lot of difficulty getting onto the web site, so i can’t tell you the size of price of these prints. This entry was posted in Art, Things that i don't have yet..., Toys and Games and tagged Art, Millenium Falcon, Millennium Falcon, Star Wars. Bookmark the permalink. Apparently the lustre or metallic choices range from 8×10″ ($25) to 20×24″ ($75). Having these images free of package markings is a better option than keeping bulky cardboard boxes. Yeah, I’ll get these two.